The 2017 data breach at Equifax shook the American and global market to its core. With more than 143 million consumers affected, the world once again was acutely aware of its digital vulnerabilities. Matters went from bad to worse, as incidents like the WannaCry and Petya ransomware further exposed the direct financial threats posed by cyber-attacks. These were just a couple of the many tens of thousands of cyber-attacks last year that emphasize the urgency for better cybersecurity in financial firms. According to the Global Banking and Finance Review, attacks such as these have caused nearly USD 360 billion per year in losses for each of the last three years. It is no surprise then that the global investment in cybersecurity has continued to grow. According to Netscribes research, the overall cybersecurity market size is expected to experience a 12% CAGR rise over the 2017-2022 period and is projected to reach USD 125 billion by 2025. 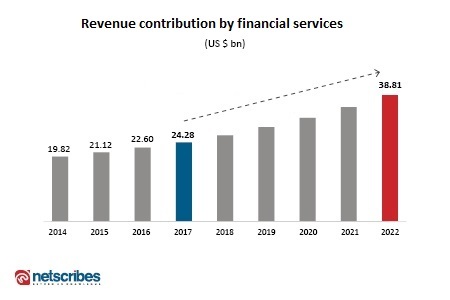 The revenue contribution of the financial services segment to cybersecurity during the same period is also expected to grow by 9.8%, going from USD 24.08 billion in 2017 to USD 38.81 billion in 2022. For a complete report on the global cybersecurity market; its applications and opportunities in the financial services industry, contact [email protected]. A significant impetus to invest in cybersecurity is largely rooted in the financial services industry ’s increased dependence and adoption of digital technologies over the last couple of decades. With an unprecedented rise in digitization in the financial market, such as mobile banking, smartphone apps, online banking, investment trading and other services, the threats have only increased. This has led to the market being more cautious and justifiably paranoid with regards to cybersecurity. AI for better monitoring and prevention: The current and ongoing trend in financial cybersecurity has been to employ artificial intelligence (AI) technologies as a means to tackle emerging threats and mitigate ongoing hostile attacks. But as the scale and intensity of attacks become more empowered with new techniques and tools, the need to get ahead of the curve becomes a critical pathway to success. With AI-based defensive threat assessment systems, financial companies are hoping that they will be able to establish better security measures by significantly reducing human effort. 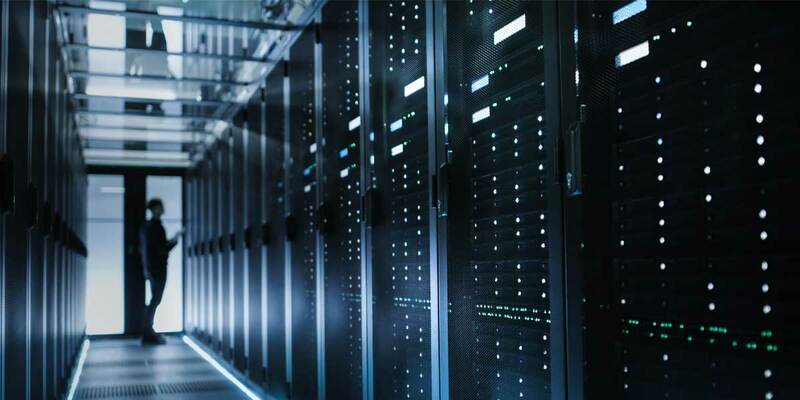 By ingesting and analyzing vast quantities of data, organizations believe that they can identify and address digital threats more quickly, and prevent them before they are even activated. Defining strategic policies to tackle cyber threat: The organizational approach towards cyber security is also growing more comprehensive, with humans taking a center stage in defining strategy and policy from a new strategic perspective. By building teams that comprise of bankers, payment specialists, data scientists, cybersecurity specialists, and other stakeholders, financial institutions are working towards building stronger systems to withstand exploitation and resist cyber-attacks. Banking industries, who consistently face cyber-attacks, are starting new training processes for their staff to ensure that they do not fall for online or offline threats. A large part of this effort is also based in automating various routine and repetitive tasks through Robotic Process Automation (RPA), which is expected to not only eliminate the risk of human error but also free up the human effort for other more strategic and innovation based work. The role of advanced technologies: As the exposure to vulnerability increases with larger networked systems, across users and verticals such as mobile business, IoT, smart cities, broadband, 5G and telecom, the era of ubiquitous connectivity demands to be built on airtight cybersecurity. In this effort, the use of new security technologies such as Blockchain, advanced encryption, and artificial intelligence, among others, all have a large role to play. As the financial services industry continues to move deeper into digitalization, cyber-attack will assuredly pose a threat to profit, data privacy, brand equity, and customer loyalty. As cyber threats continue to become more sophisticated over time, banking and financial services are already finding themselves in a critical race against time. Need for continuous investment: With the need to continuously update their cybersecurity products and hire new specialists that can stay ahead of cybercriminals, the need to continuously invest in modernizing cybersecurity technology has become a core business concern. The critical task of innovating continuous upgrades and improvement can pose a significant long-term challenge for cybersecurity providers as well as financial institutions. Lack of adequate talent: Companies place a significant demand on highly skilled individuals and products, but there is evidence that the lack of skill and unawareness about technology among the common users poses a much higher vulnerability. The lack of training or complete absence of digital literacy is perhaps the largest threat to financial organizations. And while many companies are working overtime to train and upgrade their many millions of human workers for internal security, they have nothing but technology to assist them with their billions of customers. For a comprehensive market and competitive analysis of cybersecurity in the financial services industry, please contact [email protected].